The sun is shining and the weather is hot, too hot in fact! But what is the worst thing about Summer other than a sunburn? Wasps! 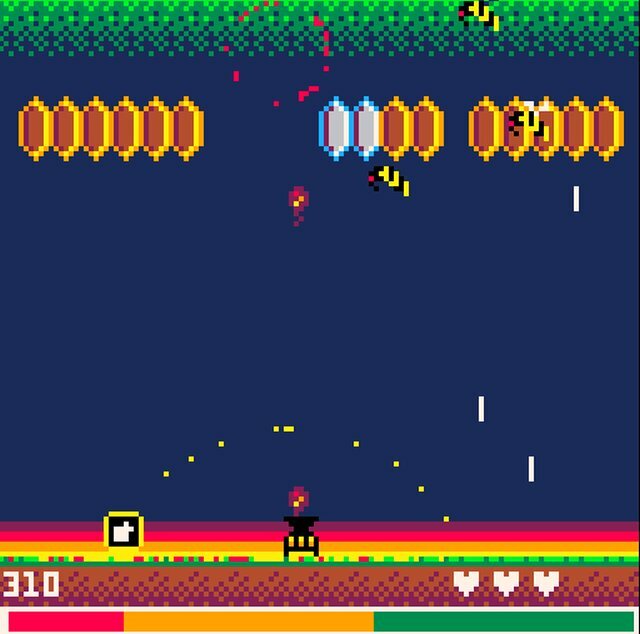 Or at least killer Bees in morningtoast's new Pico-8 shoot em up, Buzzkill, which was only just released yesterday and now playable in your PC browser. 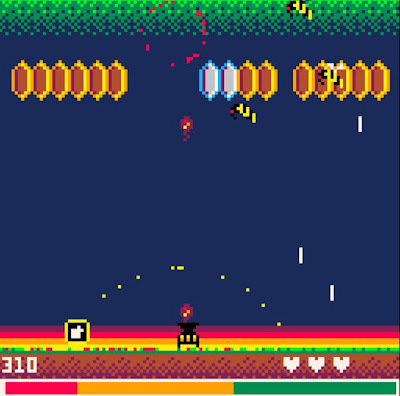 The idea behind the game is simple, scroll along the bottom and shoot and wipe out as many bees, honeycombs and hives as possible to advance to the next stage. Buzzkill might not be the biggest game we've played coming in at only 10 levels, but boy is it a challenging one. Not only do you have those bees to deal with who shoot back, but those honeycombs keep increasing and spawning even more of the menacing blighters. Thankfully at your disposal is a power bar limited weapon and a smoke blower. By blowing smoke at the honeycombs you can freeze them and take them out and finally hindering the stinging insects in the process. What a cool game indeed and to add to the enjoyment, it has power ups!